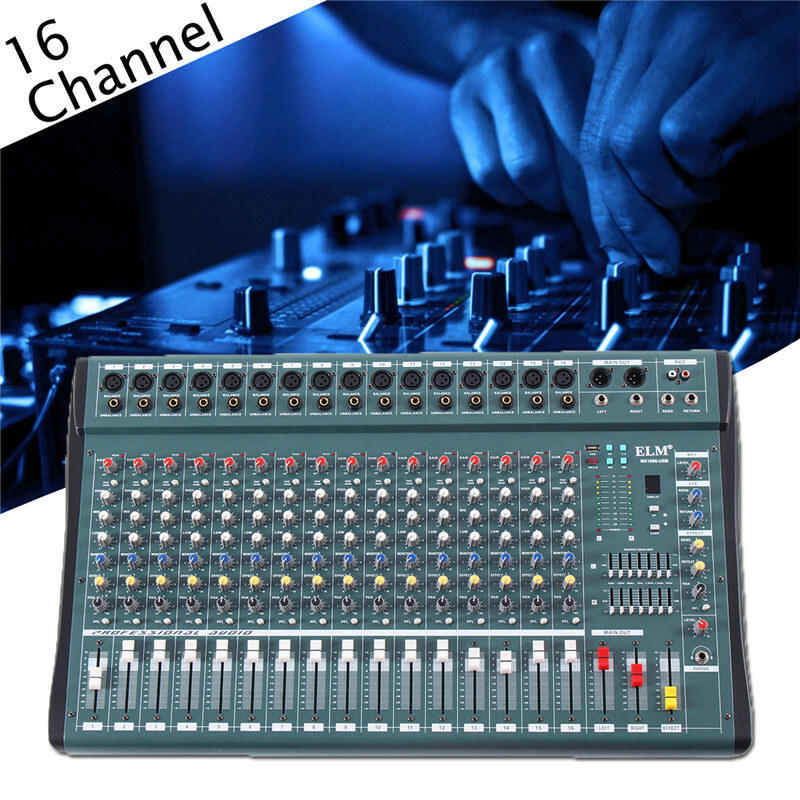 Description:100% Brand New and High Quality.1. 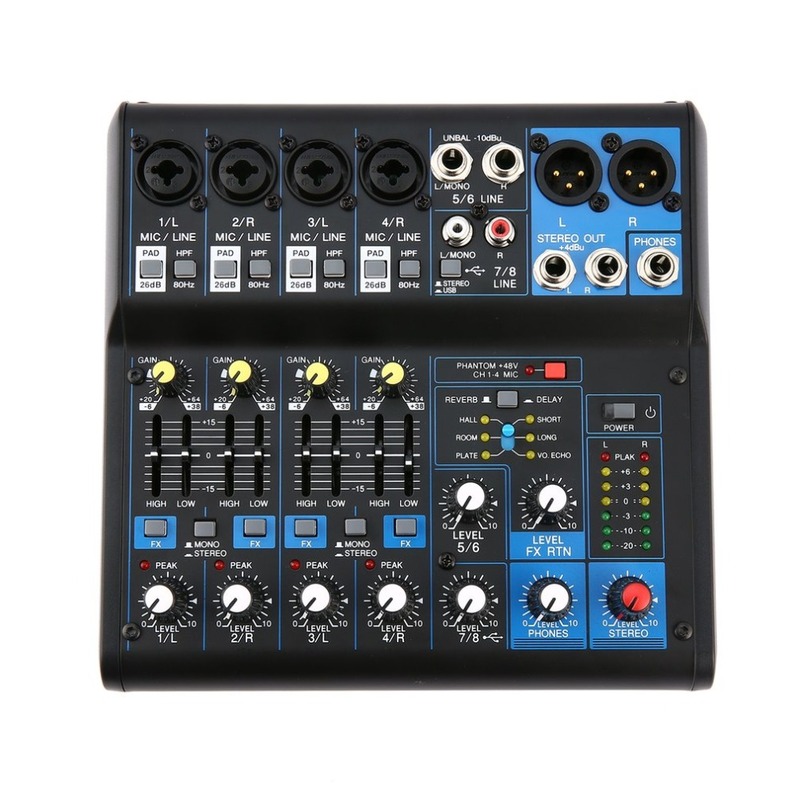 Front input connection, host power control.2. 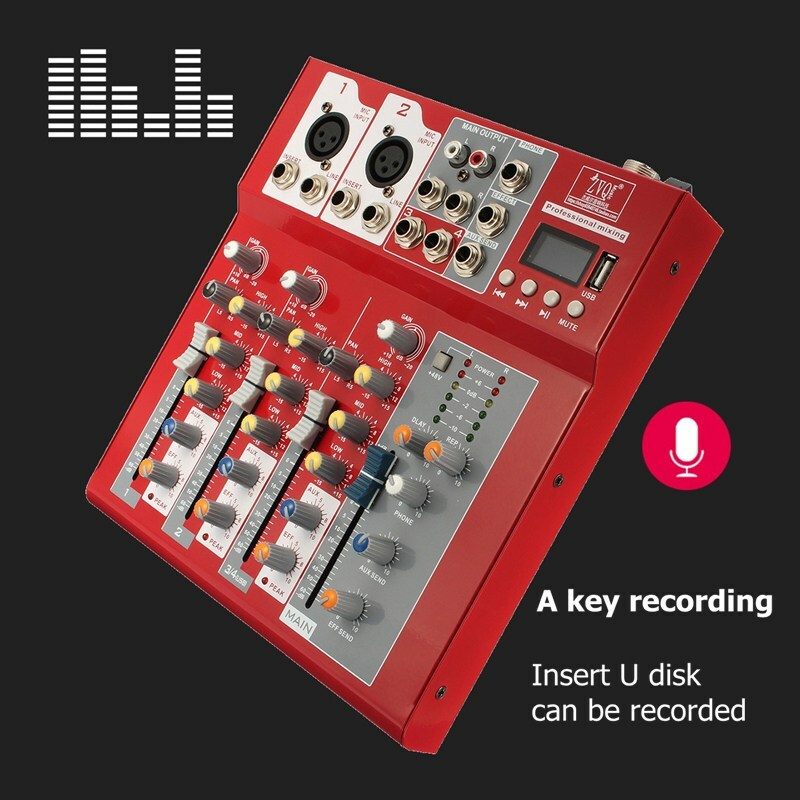 Suitable for companies, families, karaoke rooms, etc.3. 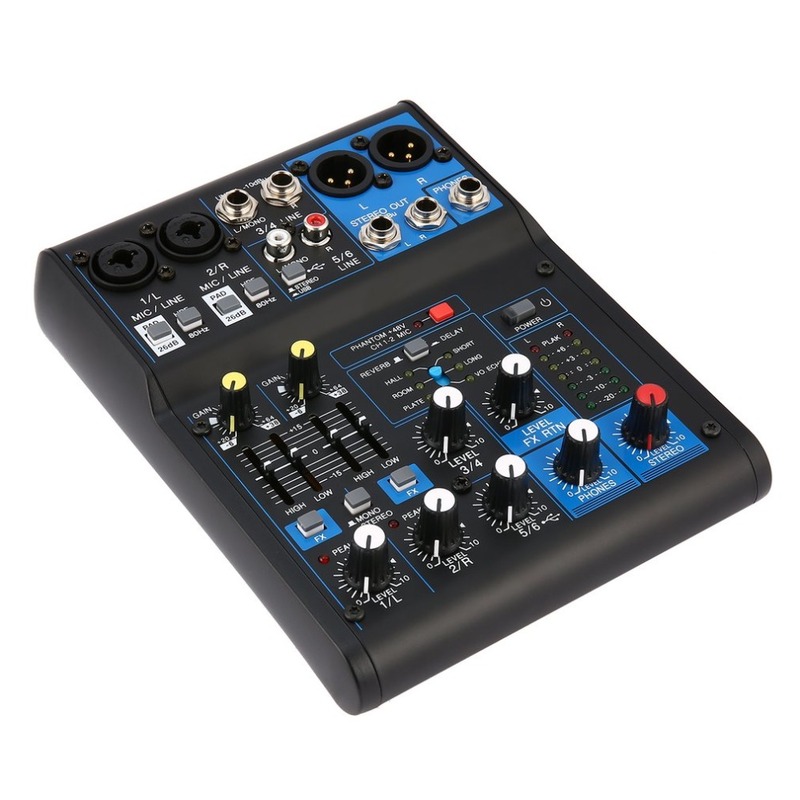 Stable, lightweight, small a..
8 Channel DJ Powered Mixer Professional Power Mixing USB Slot 16DSP +48V Phantom Power for Microphones US Plug Features: 2x250 WaProfessional 8 Channel Powered Mixer 8 Channel Mono Inp..
4 Channel Power Audio DJ Mixer US Plug Professional Power Mixing USB Slot 16DSP +48V Phantom Power for Microphones Features: 2*250 WaProfessional 4 Channel Powered Mixer 8 Channel Mon.. 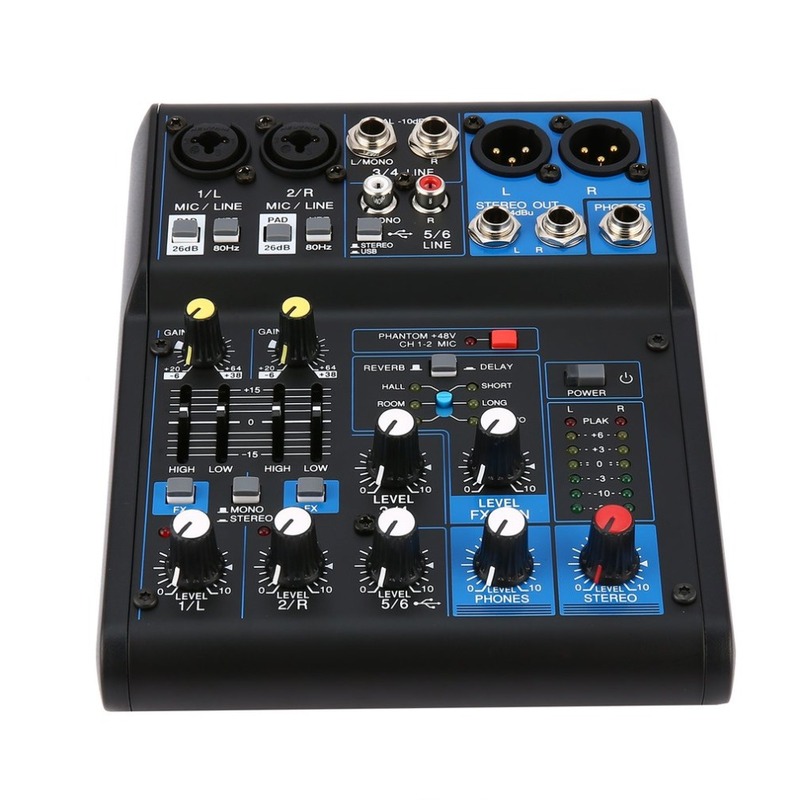 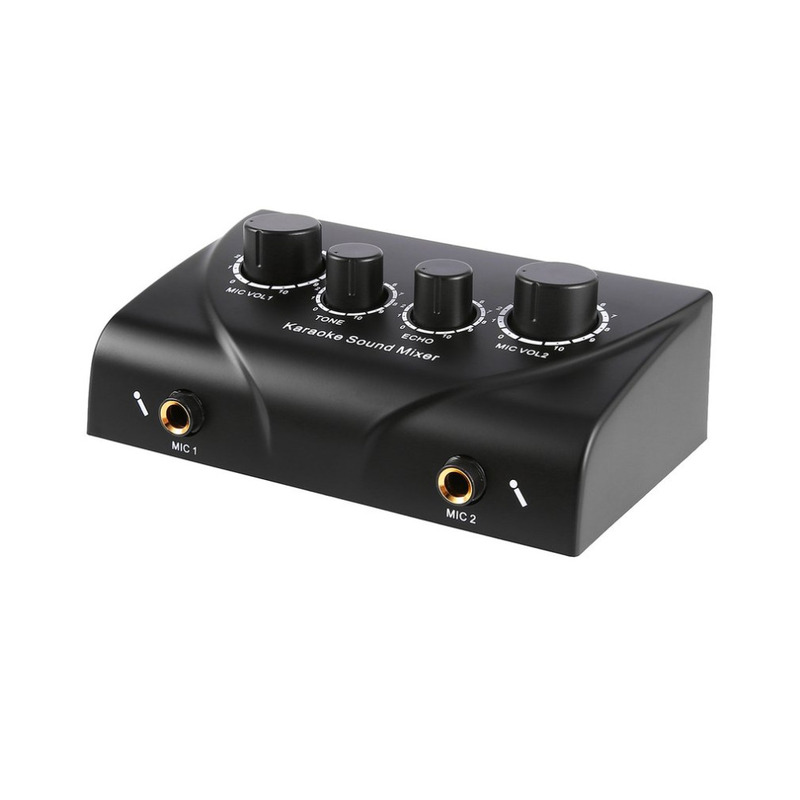 Features: This is a portable DC and AC dual-use, dual four MIC/LINE stereo or eight channel single track input mixer, very suitable for small studios. 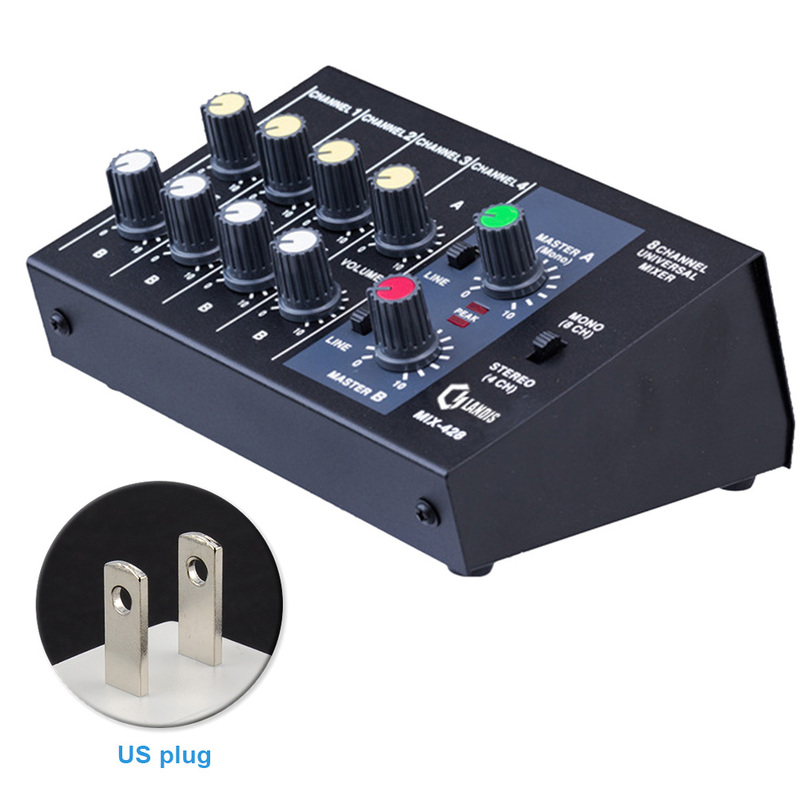 With low noise, high and low impedance circuit ..
Power Audio DJ Mixer EU Plug 4 Channel Professional Power Mixing USB Slot 16DSP +48V Phantom Power for Microphones Features: 2*250 WaProfessional 4 Channel Powered Mixer 8 Channel Mono..
Specification Channel: 16CH Voltage: 110V- 220V Frequency Response: 20Hz- 20kHz +/-0.5dB THD: ..
Power Audio DJ Mixer EU Plug 4 Channel Professional Power Mixing USB Slot 16DSP +48V Phantom Power for Microphones Features: 2*250 WaProfessional 4 Channel Powered Mixer 8 Channel Mon..
Karaoke Sound Mixer Professional Audio System Portable Mini Digital Audio Sound Karaoke Machine Echo Mixer System Features: 2 Micphone inputs, video input and sound output for video signal Echo ef.. 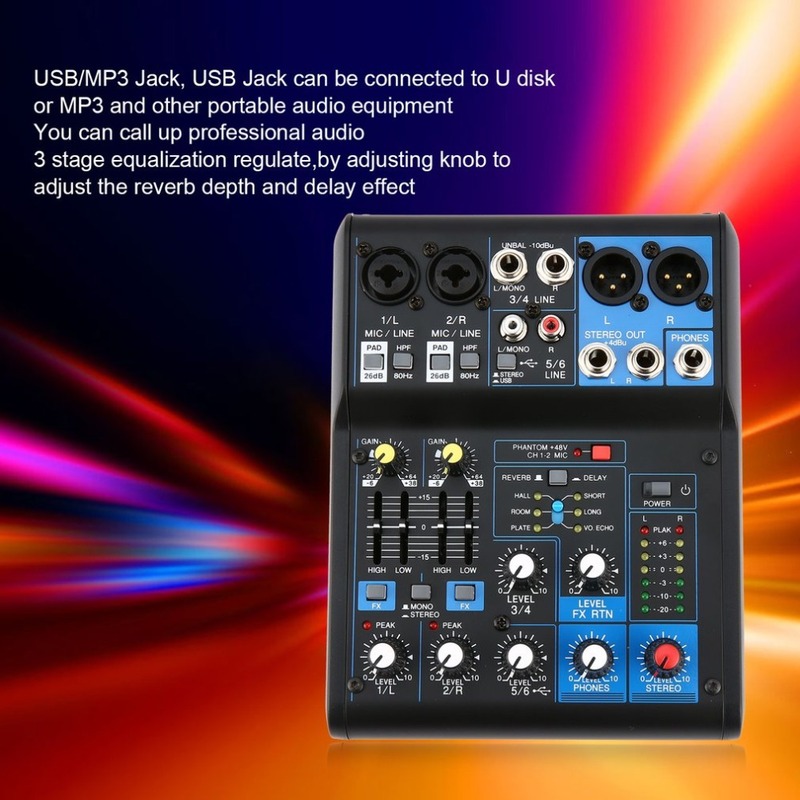 Feature:USB Function4 Channel Mixer2 XLR mono input Mic and 2 groups of stereo input channels3-band EQ on all channelBuilt-in digital delay for ECHO effect ProcessorIndividual Gain,Bass,Mid High,..